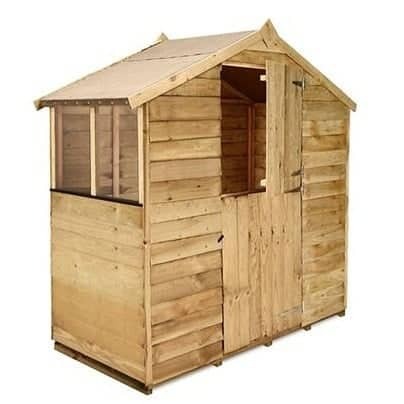 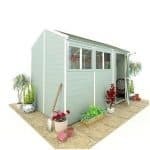 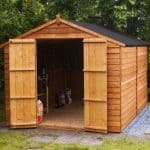 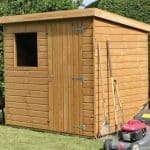 This is a good size, simple, clean shed with sturdy pressure treated overlap cladding, ideal for light garden storage of all types from gardening equipment to children’s toys and more. 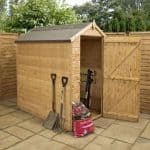 It is a popular and affordable choice with gardening enthusiasts everywhere and will last for many years as it is crafted from long-lasting, durable wood. 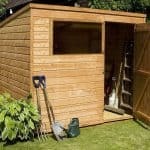 Perfect for a gardens which are limited in space and an excellent secondary outbuilding. 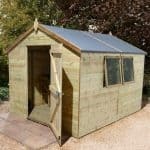 With a stylish and functional stable door and window it looks good whatever the weather.